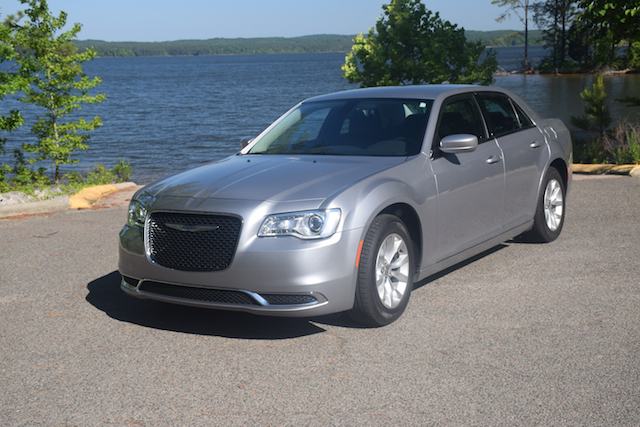 An end of an era as the Chrysler 300 finishes its final model year. The Chrysler 300 will soon be no more. Sixteen years is a long time to build a model, especially one that has seen few changes since its debut. The Chrysler 300 is that model, a traditional full-size sedan and one of only two vehicles sold by the brand. This week, we learned that the Chrysler 300 will soon be no more. Parent Fiat Chrysler has decided to retire the vehicle, although the similar Dodge Charger sedan and the Dodge Challenger coupe will likely live on. That said, the Dodges may eventually go away as well as FCA transitions chiefly to a maker of crossovers, SUVs, pickup trucks and vans. The Chrysler 300 arrived on the market at the same time as the Dodge Magnum wagon and one year before the Charger’s debut. All four models (including the Challenger) share a common architecture developed by Mercedes-Benz. At that time, the brands were part of DaimlerChrysler, the ill-fated union of German and American automakers. As for the 300, it was originally presented as a premium model, one designed to take on Buick and provide an affordable alternative to similar-sized models from Audi, BMW and Lexus. Its “gangster” good looks drove its appeal, with an extended wheelbase and multiple all-wheel-drive versions available. Later, the stretched wheelbase model was discontinued and all-wheel drive was restricted to the V6 models alone. The 300 was also supposed to top a three-car model line. Indeed, that line already includes the 200, a midsize sedan and was supposed to be completed by the 100, a compact model. But plans for the 100 were canceled and production of the 200 was ended early as FCA later announced its full commitment to brands such as Ram and Jeep, with little left for Chrysler and Dodge. 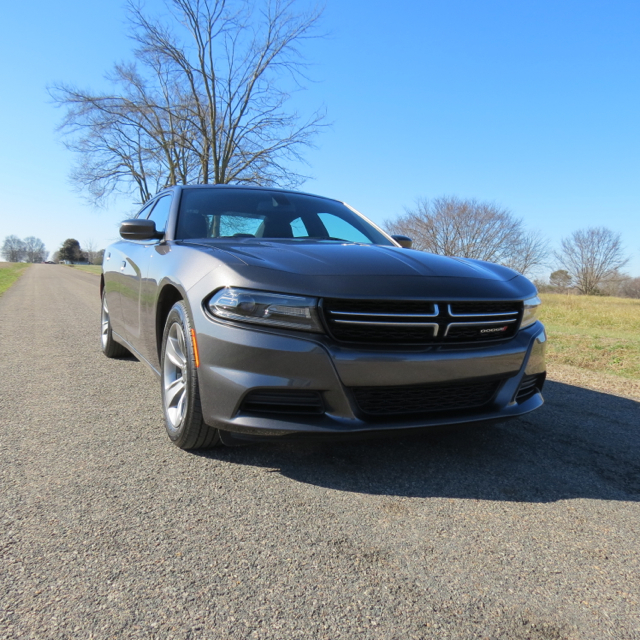 The Dodge Charger may live on. For now. But the Chrysler brand isn’t likely to go away. Instead, as the 300 drives off into the distance, an electric van based on the Portal concept seems likely to arrive in 2020. 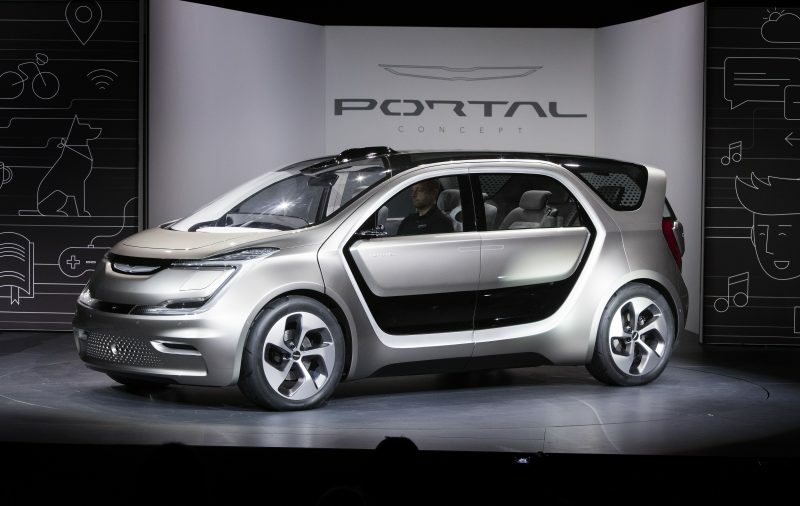 The Chrysler Portal Concept is an electric van “designed by millennials for millennials,” according to the company’s website. The concept was introduced in January 2017 at CES (Consumer Electronic Show) and just ahead of the North American International Auto Show (Detroit auto show). When it comes to futuristic designs, the Portal Concept nails it. This van’s overall design features a boxy look tempered by dramatic curves and unique roof, door and hatchback elements. Indeed, this model has four sliding doors, which aid in access to the interior. Inside, the cabin is airy and expansive with four individual sculptured seats. The long and deeply canted windshield, glass roof and generous storage space are important design distinctions of note. The Chrysler Portal Concept appears headed to production. Electric, But Not Yet Autonomous? Besides its catchy design and electric powertrain, the Chrysler Portal is supposed to be fully autonomous. That said, we’re not certain autonomous drive will be ready when this model debuts. Further, while it may offer full electrification, Chrysler hasn’t ruled out a range extender option, such as what’s offered with the BMW i3. Please note that our comments here are largely speculative. The automaker hasn’t made an official announcement of the new model or of what it will entail. As for the concept, Chrysler says that the Portal has a 250-mile electric range on a full charge. Further, the automaker says that by connecting to a DC Fast Charge outlet, the battery pack recharges to a 150-mile range in under 20 minutes. Other concept features include facial recognition technology, track-mounted seating that can fold flat, slide the full length of the vehicle or be removed. Although Chrysler hasn’t called the Portal a minivan, it is in every sense of the word just that. Moreover, it is much more of a true minivan than the current models available, including the Chrysler Pacifica, Toyota Sienna and the Honda Odyssey. All three are essentially medium vans that match the size of today’s full-size crossovers. Finally, with the 300 gone, we’re entering a new era of automotive manufacturing where vehicles favoring electrification and autonomy gain ascendancy. That said, the consumer is the final arbiter of what the market offers, therefore it will be interesting to gauge how they respond to changes that are reshaping the landscape. Chrysler Portal Concept photo copyright Fiat Chrysler Automobiles. The Los Angeles Auto Show opens in about a month, the first of four huge auto shows on tap in North America for the 2015-2016 show season. The show’s timing — just before Thanksgiving — and the California location of the venue, provide an ideal setting for car manufacturers to unveil their latest offerings and concept vehicles. At least 50 debuts will take place in Los Angeles, including global debuts from Ford, Porsche, Scion, and Land Rover. Several manufacturers will also provide North American debuts, meaning these models have already appeared elsewhere in the world. The LA Auto Show typically features vehicles that meet the so-called “green” criteria, including numerous alternate-fuel models. That doesn’t mean SUVs, sports cars and other less-efficient models are not showcased. It does mean that the venue serves as an ideal backdrop for presenting the annual “Green Car of the Year” award from Green Car Journal. Nissan Sentra — The compact segment is led by the Toyota Corolla and the Honda Civic, with models such as the Ford Focus, Chevrolet Cruze, and the Hyundai Elantra also making an impact. The Nissan Sentra is yet another model, with the current generation model introduced in 2013. That means a mid-cycle refresh is due and it should be a significant one. Nissan is gaining market share and has been doing so by refreshing or replacing its core products at a rapid pace. No particulars have been shared about the new model, but its look should align it closer to the refreshed-for-2016 Nissan Altima. Buick LaCrosse — GM’s premium brand is gaining new product, including the Opel-suppled Cascada convertible. Moreover, the flagship LaCrosse will be all new for 2017 when it goes on sale next year. Buick has selected Los Angeles as the venue to introduce a model that we already know will take its styling cues from the delicious Avenir concept. Just how far Buick goes with porting those design features isn’t yet known. Nor do we know what technologies and trims will accompany the new model. Mitsubishi Duo — The smallest of all Japanese automakers with a presence left in the United States is Mitsubishi. Its sales are up significantly this year after multiple year-over-year declines. That doesn’t mean Mitsubishi’s road ahead is assured. Indeed, the automaker’s survival is tenuous at best. Nevertheless, Mitsubishi will reveal two models in LA — an all-new Outlander Sport crossover and a refreshed Mirage, the latter its subcompact model. Mitsubishi is coming off of a refresh of its compact Lancer minus its Evo and Ralliart editions, which have been discontinued. Infiniti QX30 — Infiniti with the help of Mercedes-Benz, is exploring the bottom of the luxury segment with both a Q30 hatchback and an QX30 utility vehicle. The SUV will be introduced next month and should give further clarity on what Nissan’s luxury brand has in store for us from 2017 on. Scion Concept SUV — About a year ago, it appeared that Toyota would kill its youth-oriented Scion division. Instead, Toyota killed the iQ and xB models and brought to the market two new models: the iA sedan and the iM hatchback. 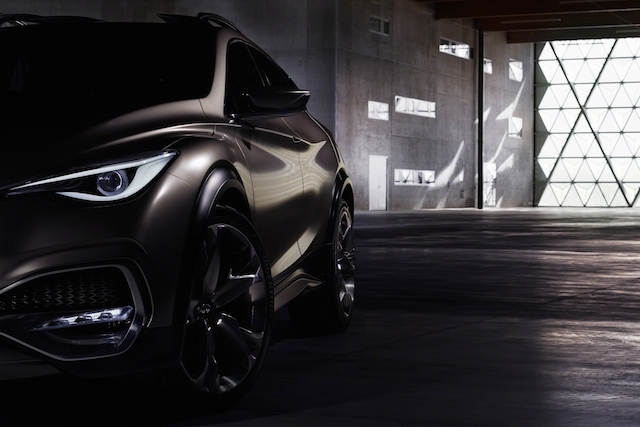 Yet another model will make its debut in California, reportedly a small crossover based on the C-HR concept. So, instead of an SUV slotting beneath the Toyota RAV4, the mono spec model will wear a Scion badge. Among the other debuts that have come to the attention of Auto Trends include the Porsche Cayman GT4 Clubsport, Jaguar’s F-PACE SUV, and the updated Kia Sportage. Other manufacturers such as Ford, Volkswagen, and Mazda will showcase new models too, but that information has yet to be revealed. Lastly, Elio Motors is expected to follow its New York auto show debut last April with an appearance in Los Angeles. Three-wheeled conveyance, anyone? See Also — Chrysler: Out With the 300,In With the Portal? Infiniti QX30 photo copyright Infiniti.